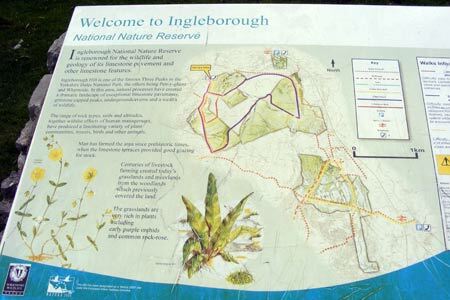 This Yorkshire Dales walk tackles Ingleborough from Chapel-le-dale. The initial stages of the ramble are straightforward, but the ascent of the hill itself is reminiscent of the stairs that Frodo climbed over the mountains in 'Lord of the Rings'. From the summit the descent is straightforward if irregular underfoot, and the final leg, parallel with the river Doe along the former Roman road, is easy. The views from the summit across the Yorkshire Dales National Park remain, as ever, magnificent. Part of a two-book set, this guidebook describes 44 walks in the southern and western Yorkshire Dales, including the famous 23 mile Three Peaks circuit over Pen-y-Ghent, Whernside and Ingleborough. The other, mostly circular routes of 3½ to 13 miles cover the scenic region between Sedbergh, Kirkby Lonsdale, Settle, Skipton and Grassington.